On the heels of a wave of recent security breaches, officials are now expected to approve a new temporary plan for the White House fence. Officials will try and keep intruders out by adding spikes, according to reports. 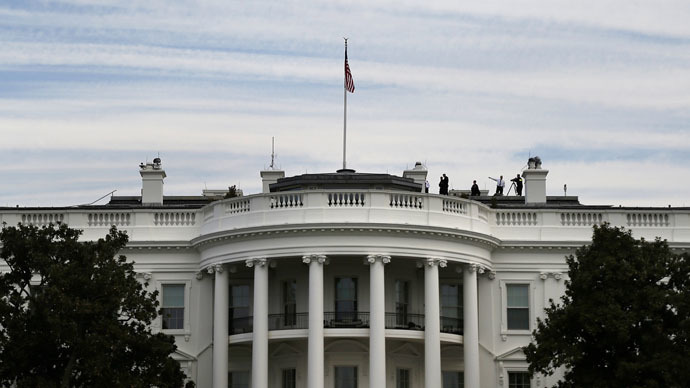 At a meeting this week, the United States National Park Service and the Secret Service agreed to attach "pencil protrusions" to the top of the White House fence to serve as "anti-climb" measures, CBS Newsreported. Officials have been scrambling to update the physical security surrounding the executive mansion following a string of headline-making breaches in recent months. The team tasked with finding a new solution for protecting the property has agreed to add spikes while a long-term solution is sought. “We have developed an effective interim solution for the White House fence consisting of a removable anti-climb feature that attaches to the existing fence. The interim solution enhances security without affecting the visitor's experience,” a National Park Service spokesperson told CBS. “We are working with our partners to develop, as quickly as possible, both interim and long-term solutions that meet today's security needs while respecting the historic setting and significance of the White House,” the representative said. The plan is expected to be formally approved by the National Capital Planning Commission at a May 7 meeting, with construction starting soon after. Officials are still considering potential long-term solutions and intend to start work on a permanent solution in 2016. Ideas that have been considered for increasing security around the White House so far have reportedly included the addition of a moat and a second fence, but a local NBC News affiliate reported that those suggestions have since been ruled out. Eleanor Holmes Norton, a Democrat who serves as DC’s delegate to Congress, told the station that she hopes the additions to the executive mansion won’t be intimidating. "I want to see those spikes to make sure they don't look so foreboding that people who visit the White House will figure they shouldn't be there," Del. Norton said.